ISATAP | CCIE, the beginning! Comparing with other tunneling techniques like 6to4, ISATAP (Intra-site Automatic Tunnel Addressing Protocol) tunneling builds a tunnel for transport of IPv6 traffic over IPv4 within an IPv4 network, not between IPv6 networks. ISATAP treats IPv4 network as NBMA and determines the destination on a per packet-basis (point-to-multipoint). There is two ISATAP node behaviors, client and server : Each client builds a static tunnel to the server and requests an IPv6 address. The server (dedicated router or Windows any *nix server) with ipv6 functionalities enabled, will advertise IPv6 network information and allow IPv6 nodes to configure their applications as they were connected to an Ethernet interface. In this Lab a server 2003 is configured as a ISATAP client node and a Cisco Router as an advertiser, ISATAP server. The client ISATAP configuration is also applicable to windows XP workstations as well. 0000:5EFE == the ISATAP identifier. Router Ethernet interface should be configured to communicate with all nodes that want to communicate in IPv4. 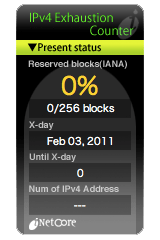 The interface is up and the ipv4 address connectivity is verified, this allows the communication between IPv6 nodes and the router to automatically configure their ISATAP information. On the tunnel interface, IPv6 RA (router advertisement) is disabled by default and need to be re-enabled, also the ISATAP is specified under IPv6 over ipv4 tunnel mode. First of all ipv6 protocol must be enabled on windows server 2003 /XP, then within “netsh” ISATAP ipv6 mode must be specified.